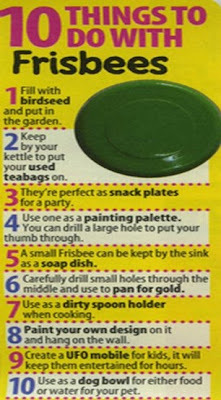 2 - Keep by your kettle to put your used teabags on. 3 – They’re perfect as snack plates for a party. 4 – Use as a painting palette. Your can drill a large hole to put your thumb through. 5 – A small Frisbee can be kept by the sink as a soap dish. 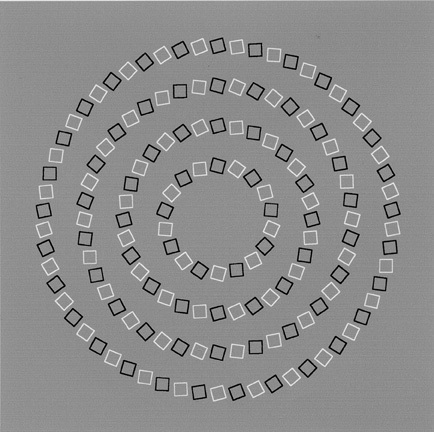 6 – Carefully drill small holes through the middle and use to pan for gold. 7 – Use as a dirty spoon holder when cooking. 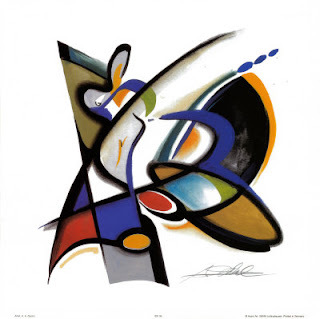 8 – Paint your own design on it and hang on the wall. 9 - Create a UFO mobile for kids, it will keep them entertained for hours. 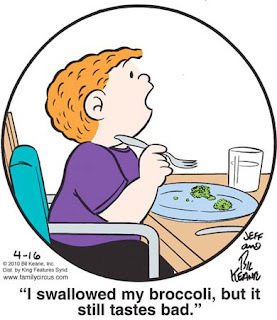 10 – Use as a dog bowl for either food or water for your pet. 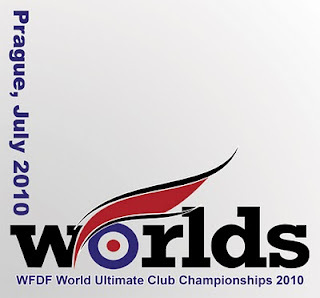 Very similar to an ongoing event, the WFDF World Ultimate Club Championships (WUCC) are held every 4 years, bringing together the best ultimate club teams from around the world for a 7 day competition. There will be 136 teams at WUCC 2010 -- 48 in Open division, 32 in Women division, 40 in Mix division and 16 in Masters division, held in Prague over July 3- 10! Check out the seedings & history of matchups. The hard shell flying disc has a cousin that is easy-going, kid-friendly & gentler. What's so amazing about the Jelly Flyer? It's the latest in flying disc fun! 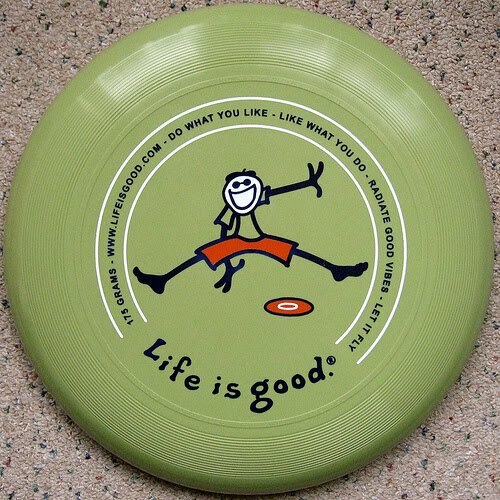 Unlike hard plastic flying discs, the Amazing Jelly Flyer is so floppy and flexible; you have to feel it to believe it. This high-tech silicone material feels like jelly and flies like a jet! Just 4" in diameter, the Jelly Flyer is safe indoors, or you can let it loose on the great outdoors. Colors: pink, blue, purple, green, & yellow. This larger 8" diameter version of the Jelly Flyer is great for wild, yet safe outdoor play. It flies far & does stunts never seen with a plastic disc. Best of all, it is easy and soft to catch& never hurts the hand, even for small children. Squish it up and take it anywhere! Colors: blue, purple, green, & yellow. Andrew thinks ...maybe there's a lesson here about having too much experience on a sports team. 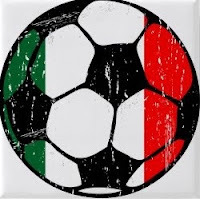 For defending champion Italy, the ignominy of being sent out of the World Cup in the first round sank in immediately. "Tonight," midfielder Gennaro Gattuso said, "we touched rock bottom." Italy's squad featured nine players 30 or over and Prandelli will be charged with a major overhaul. Italy hasn't won since beating Sweden 1-0 in a friendly in November, drawing five times and losing twice. "It's not a very good moment for Italian football, but the level of the Italian game isn't what you saw tonight," Lippi said. Have you ever wondered what the score was between USA vs Lithuania in the only game they have played?? Not talking soccer or football. Per GetHorizontal, here's an incredibly comprehensive database of the history of national ultimate teams. This site contains (as complete as possible) archive of all ultimate matches ever played between two national teams (currently beach ultimate games are not included, but adding them in here has been suggested by a few people). 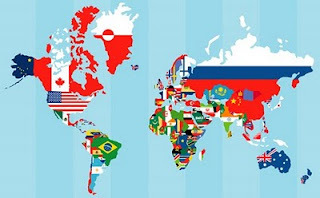 Currently the database contains records of 3578 international matches between 935 national teams representing 40 countries. About 4304 people have been entered in to the database and 345 teams have so far roster information available. Guessing the quick brown fox wasn't jumping for a frisbee. 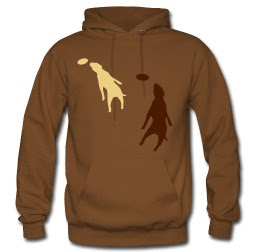 Info: This brown hoodie has a double-lined hood with matching drawstrings and a front pouch pocket. This fleecy pullover sweat is cosy and warm. Fabric weighs is made from 80% cotton & 20% polyester. Take the Plastic Recycling Challenge QUIZ on what's being recycled? Fourteen selections are based on what's most commonly found in blue boxes (Canada). 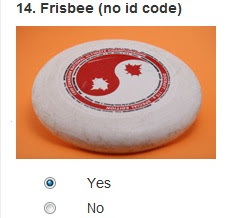 CORRECT ANSWER: This Frisbee is not accepted in curbside recycling programmes because there is not a large enough quantity collected to be recycled into something else. Try giving it away through: http://www.freecycle.org/ or http://www.craigslist.org/ (free stuff section). Other ideas: Water Gauge, doggie disc, Hat. • Slop on sunscreen (SPF 30). Do so at least 20 minutes, so it has time to sink in. A: Charlie is in Colorado. A Did You Know? from the same book mentioning the Frisbee invention. 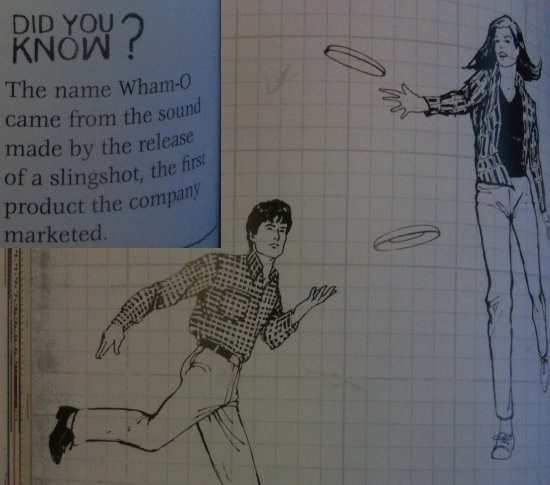 The name Wham-O came from the sound made by the release of a slingshot, the first product the company marketed. 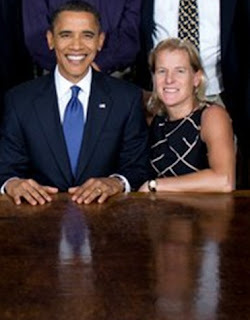 6/15/10: Patti in the Oval Office with the PREZerson who sends nice congratulatory letters. 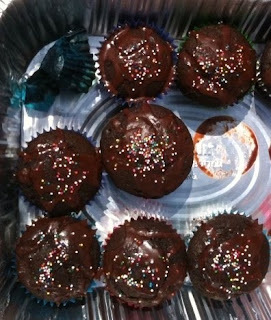 A cupcake recipe to feed 16 after running in a 3-person cup. Preheat oven to 350 degrees. Sift together the dry ingredients and then add the wet ingredients until well blended. Pour 2/3 full into each of 16 cupcake tins. Bake for 15-20 minutes until toothpick comes out clean. Once cool, sift powdered sugar over top or frost with chocolate glaze (recipe below). In a small saucepan, bring sugar, margarine, milk, and cocoa to a boil. Stir frequently; then reduce heat to a simmer for 2 minutes, stirring constantly. It’ll look gloppy, but it’s just the bubbles! Remove from heat and stir for another 5 minutes. Add vanilla, stir, and immediately pour onto cake. Glaze dries really quickly, so spread it immediately and add any sprinkles now. Let this cool for an hour, if you can wait that long! A very pretty infographic in frisbee form depicting the magnitude of the fiascOIL in the Gulf of Mexico. a freebie &/or something to frame. Hampshire College: Recently dubbed one of our top 10 hipster schools, Hampshire's free-wheeling curriculum is infamous. 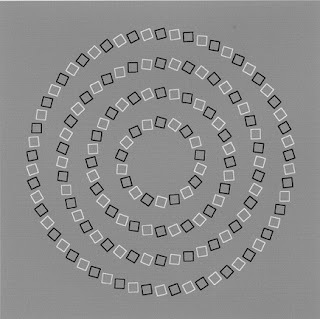 Years at the Massachusetts school are split into three divisions: in the first division, students take classes in five "Schools of Thought"; in the second, students study a chosen subject in-depth; in the third, they complete a large-scale project -- one student did his on the aerodynamics of Frisbee. 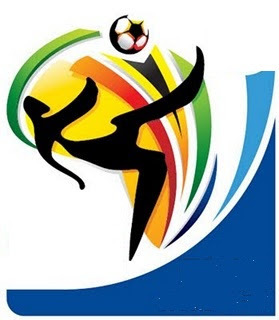 Squint & FIFA's 2010 World Cup logo starts to look kinda sorta like "Frisbee". 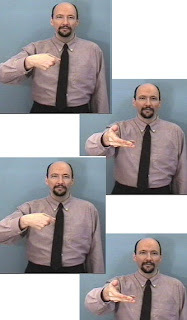 In American Sign Language, these motions mean "frisbee." Does this signed motion mean throw to me or I'll give you fashion tips? Q: Where in the World is CHris? A: CHris was in California. A: Meg is in London. Due to scheduled polo matches this weekend @ the Polo Fields, Saturday pickup will probably be re-located at the Reflecting Pool fields or the Washington Monument fields, if those are not available. Contain Yourself! Much to be excited about Sludge's first pool party of the season!! Sunday @ 2pm. This Issue Brief first sets out the law governing the enforcement of disorderly conduct and similar statutes. It then explores the widespread and egregious violations of this law in some law enforcement agencies and by some officers. The issue brief argues that the harm caused by improper arrests and threats of arrest for disorderly conduct far outweighs the justification given by some police and pundits for the aggressive (overly-aggressive, some would say) use of these statutes. Finally, the Issue Brief offers a roadmap for legislators, advocates, law enforcement officials, and others seeking to address this problem. Despite its illegality, the arrest of Professor Gates was not unusual. This scenario – an individual being arrested after responding obstreperously to perceived police misconduct – is one that plays out routinely across the United States, albeit without the Ivy League backdrop or culminating in conflict-resolution-through-beer. And while Gates's arrest may have fostered greater understanding between the Professor and the Sergeant,9 it does not appear that this “teachable moment” went much further. Since the arrest in Cambridge nearly a year ago, there have been few examples of progress in how local legislatures write “disorderly conduct” and similar laws; how police policy incorporates these laws; how law enforcement officers are trained to enforce these statutes; or how these types of arrests are tracked or monitored. Not surprisingly, instances of troubling arrests for “disorderly conduct” and similar infractions continue to abound. 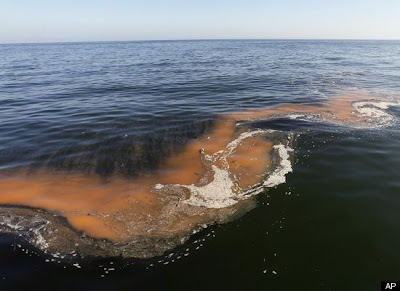 Given the entrenched and hyperbolic views expressed during the Gates incident, it is perhaps unsurprising that it did not bring about the sea change some had hoped. This missed opportunity is unfortunate. Change in this area is needed and of vital importance. CHarlie confirmly reminds you about Sunday's Pool Party in Potomac - starts @ 2pm. Tar Balls the size of Frisbees! 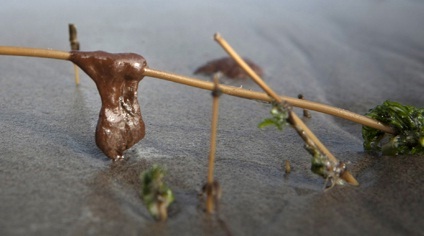 WASHINGTON -- Gooey tar balls from the Gulf oil spill washed up on one of Florida's most pristine white-sand beaches yesterday -- as the environmental nightmare wreaked further havoc on the region. 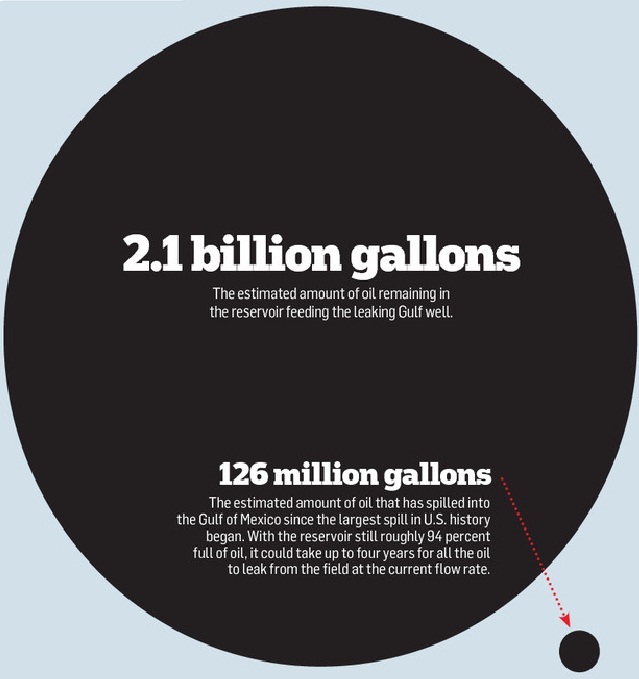 The pieces of sludge ranged in size from a coin to a Frisbee and dotted beaches in Pensacola while the stench of oil punctured the usually soothing sea breezes. 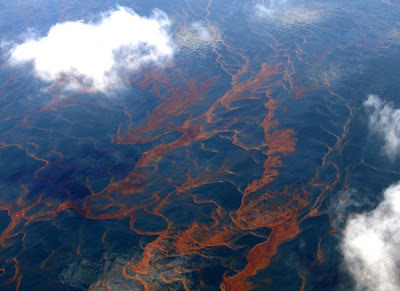 Oil has already hit the shorelines of Louisiana, Mississippi and Alabama in six weeks. And the worst could be yet to come. Scientists fear the oil will get sucked into the Loop Current, as some computer models predict, taking it around Florida's fragile coral reefs, past the Florida Keys and up the Atlantic coast. The tar balls and floating sheen didn't deter swimmers on two popular Pensacola beaches, as locals flocked to get in what some feared might be their final chance to swim if the beaches get covered in oil. 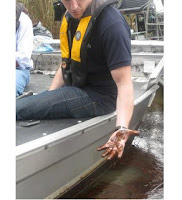 Some of the locals, including kids, tried to chip in by picking up tar balls with shells, while swimmers waded into the water and rushed out after encountering oil slime. "I did not expect to see this. That's just crazy," Lance Nelson, a 23-year-old college student who canceled a day of surfing, told the Pensacola paper. Brian joined the 50,000+ participants who together serve as a living testament to the power of individuals to impact the world. 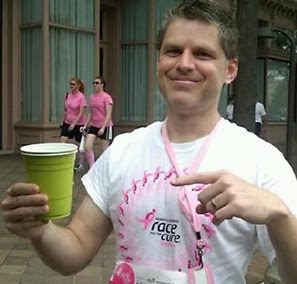 He ran/walked in the Komen Global Race for the Cure 5K Run/Walk at the National Mall on Saturday. Your activity-ism is applauded! 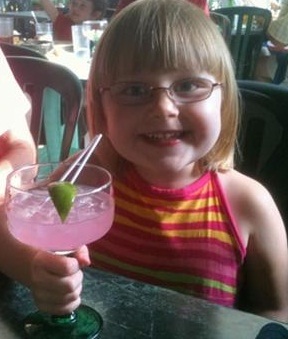 Tho, CPS may be concerned about what you're teaching (your) youth. A: Rob is in Caribbean. 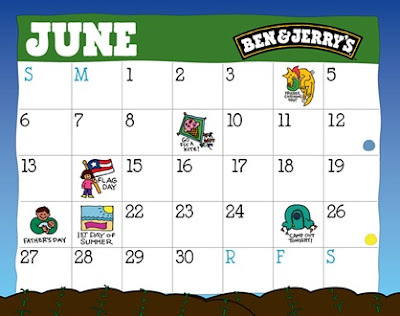 Ben&Jerry's officially honors "Frisbee Catching Day!" today - June 4th. 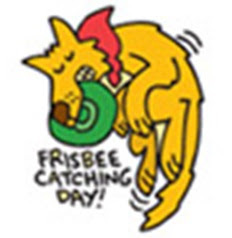 So many humanly ways to catch a frisbee. 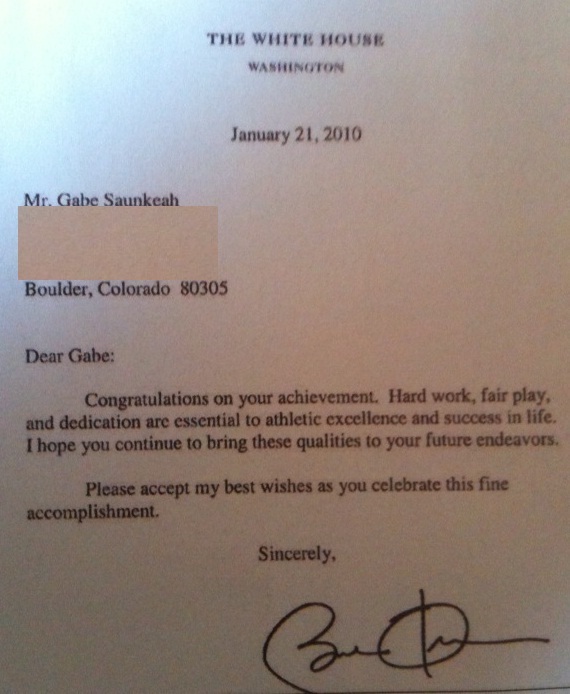 The letter reads: Congratulations on your achievement. 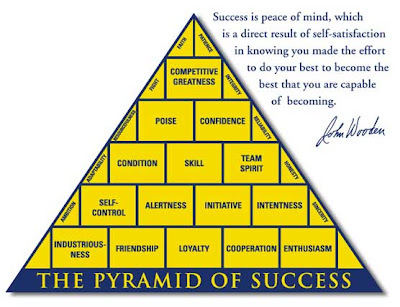 Hard work, fair play, and dedication are essential to athletic excellence and success in life. I hope you continue to bring these qualities to your future endeavors. 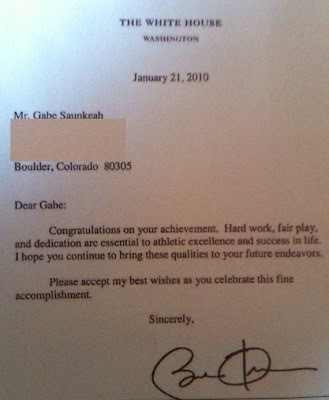 Please accept my best wishes as you celebrate this fine accomplishment. Would have been *extra* special IF it was mailed without an envelope. 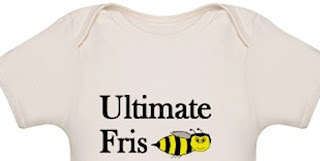 Info: Fun ultimate shirts & apparel featuring the Ultimate Bee that looks good on & off the ultimate field. 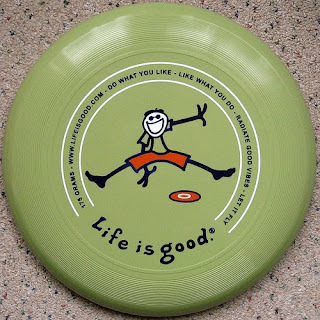 So look good, whether you're playing with the trademarked name for a flying disc or just hangin' out. 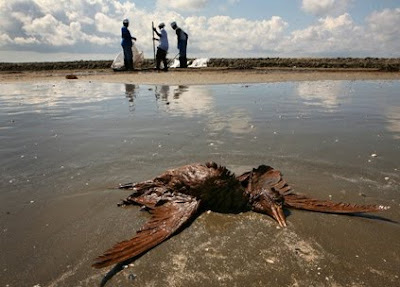 The BP oil spill is just the latest example of questionable corporate action that's prompted calls for stronger government regulation. Yet the more profound reform would come from absorbing the lessons of a game with no referees. ...The harm those companies caused is anything but a game. But let's inject a bit of levity into an otherwise dire set of circumstances and look to one game for guidance: ultimate frisbee. The fast-growing sport (with some 700 college teams in the US alone) is like soccer with aerial passing but without referees. 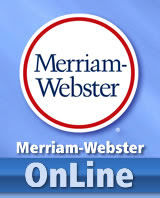 Players are expected to call their own fouls – and do. 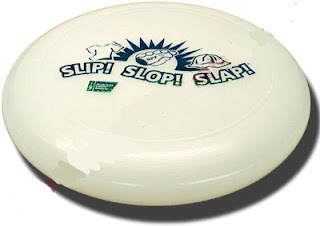 Even at collegiate and world championships, players hand the Frisbee to the other team if they've had unnecessary contact with an opposing player or held the disc for longer than the allowed 10 seconds – whether or not someone else calls them on it. This ethos is known as the "spirit of the game." I've played ultimate throughout the US, Europe, and Asia, and can confirm that the spirit of the game reigns everywhere. Business would do well to learn from it. Here's a simple way to align business and societal interests: Require that bankers and other titans of industry join a weekend ultimate frisbee game in their local park. They'll spend a few hours in a world where there are no designated enforcers but everyone follows the rules – not just in letter, but in spirit. That would benefit us all. 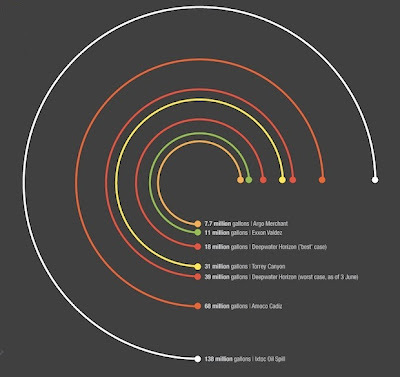 On this list, Frisbee is #29; on MW's summer list, Frisbee = #1! The story involves 1950s college students playing catch with cake tins and pie pans – sometimes from the Frisbie Pie Company of New England.